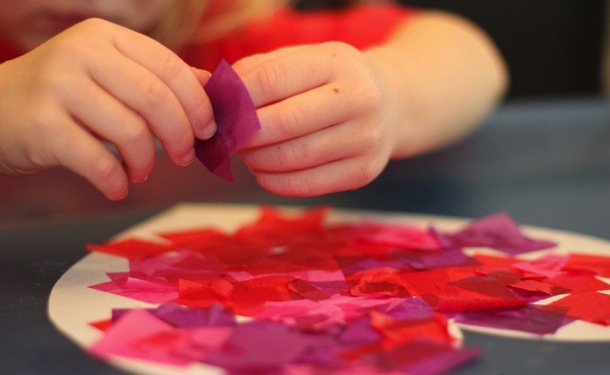 As part of the Hearts in the Hamlet town-wide event taking place in Roxbury on Sunday, February 15, the Roxbury Arts Group is offering a free Valentine’s Day inspired craft activity for children [of all ages]. Stop in at the Roxbury Arts Center anytime from 11:00 am – 1:00 pm to create your own ‘I Love You To Pieces’ Valentine for the one that you love. All supplies will be provided, donations gratefully accepted.